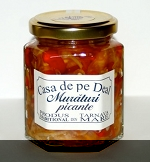 Casa de pe deal invites you to try its chili pickles. Made to a secret family recipe, these home-made pickles are an incredible taste experience! It is the attention to detail during the whole of the production process that makes the quality of Casa de pe deal’s chili pickles so exceptional. It takes a lot of work and patience to produce this original Tarnava Mare product. All the vegetables are cultivated traditionally in our garden, from the sowing of the seeds to the picking by hand. What could be more natural? Anca’s perfect mastery of the family recipe does the rest. The flavour, a mixture of sweet and hot, is extraordinary! 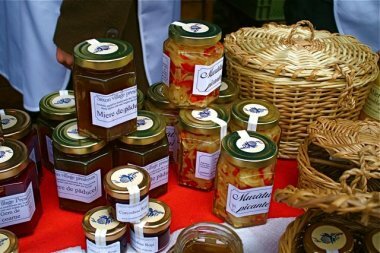 On a slice of bread, with meat or as an accompaniment to vegetables, there are thousands of ways to enjoy the hot chili pickles from Casa de pe deal.